Anyone who doubted cricket’s claim to being the ‘game of glorious uncertainties’ would have to change his mind after the result of the two-match Test series between hosts South Africa and visitors Sri Lanka. The Lankans seemed hopeless coming into the series. Their two leading batsmen – Dinesh Chandimal and Angelo Mathews were missing, due to different reasons. Even the bowling department was depleted due to injuries. The team had suffered an embarrassing whitewash at home to England last year before being beaten in New Zealand and Australia. The sacking of their captain underlined the crisis facing the team. South Africa, on the other hand, had just whitewashed Pakistan and hadn’t lost a home series since early 2016. In fact, the Proteas had never lost a home series against an Asian side. They possess, arguably, the best pace bowling attack in the world and a very potent batting line-up. Everything pointed to a one-sided series where the Sri Lankans would struggle to even draw a match. But look at what happened! If the shock victory to the visitors in the first game wasn’t enough, their stroll to a win in the second Test left everyone gobsmacked. This was certainly one of the biggest upsets in the entire history of Test cricket. It would be hard to find another example of such an unexpected result. Let’s recap some of the key points that emerge from this historic triumph of Sri Lanka. Also, what are the ramifications for both teams going ahead? Let’s examine this as well. For a very long time, Kusal Janith Perera was a talented but irritating batsman for the Sri Lankans. His stroke-play was exquisite and had a stark resemblance to that of his hero, Sanath Jayasuriya. But he always seemed unable to control his aggression and was guilty of throwing away his wicket too often. Same was the case in the first innings of the first Test. After getting to his half-century, he went for a big shot and gave an easy catch to the opposition. 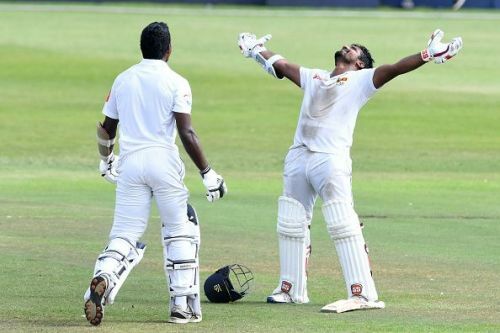 But in the second innings, Perera produced a knock that has ensured his place in the annals of Sri Lankan cricket. Even if he fails to produce even one more knock of substance, his unbeaten 153 that led to arguably the greatest Sri Lankan victory in their history would be remembered as one of the greatest, if not the greatest, Test knocks by a batsman from the emerald island. In fact, it was one of the best innings by a batsman from any country and produced a successful fourth-innings chase that would be counted among the greatest. Perera, however, wouldn’t like this to be a one-off. 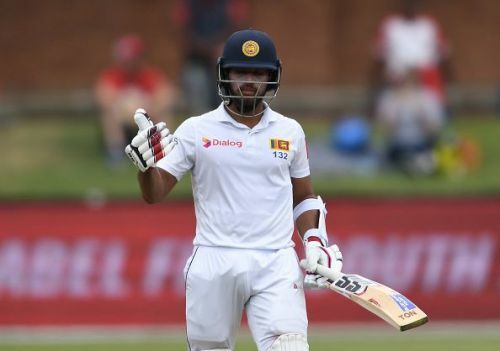 The left-hander would be keen to make this innings the turning point in his career and use it to achieve that consistency of run-scoring that has eluded him so far. A mature Perera is just what Sri Lanka need as they look to re-establish themselves as a top side.